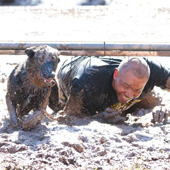 Logan Haus Kennels' 2nd annual Canine Mud Run & BBQ will take place on October 6, 2018. View our upcoming classes and reserve your place! The goal of Logan Haus Kennels' breeding program is to produce working dogs that have no health issues. Logan Haus Kennels is located in the beautiful Greenbrier Valley in southeast West Virginia. 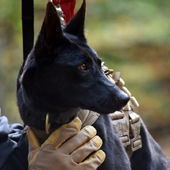 We specialize in professional canine trainers courses and breeding world class working police and sport dogs. We start with the highest quality dogs available and only breed dogs that have passed the most rigorous health and temperament testing. It is our belief that in order to produce the best working dogs possible, you must first start with dogs that possess an almost unmanageable amount of drive, power and courage for your breeding program, then raise the puppies with absolute commitment and attention to detail during their first year. Our puppy program prepares the dog for every possible environmental stress he will encounter on the street. 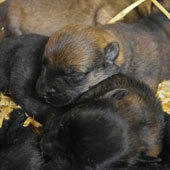 Go to our Breeding Program Page for more information on purchasing one of our puppies. We are always evolving as trainers and teachers. We are blessed to have been able to train with some of the very best working dog trainers in the industry over the last 25 years, and it is our goal to share the knowledge we have learned with those who are truly interested in becoming better trainers. Our classes teach students mechanical skills and a thorough understanding of animal behavior required to effectively and efficiently communicate with dogs in a way that is clear and concise. Several classes are currently available with more being developed each year. Click on each class’s page for a detailed description of the materials covered and to enroll. Follow us on Facebook to keep up with news and events that are happening here at Logan Haus Kennels to include planned breedings, litters born, upcoming seminars, training schools and handlers courses, etc.